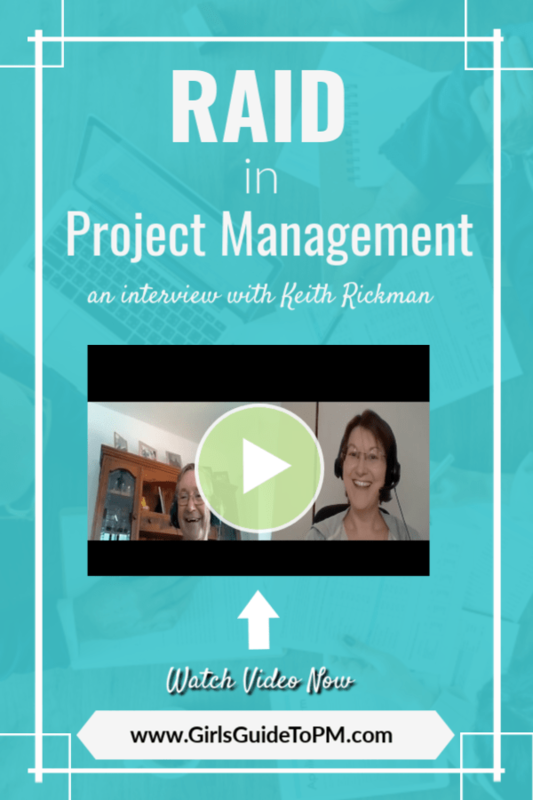 Ever wondered what RAID is all about in project management? 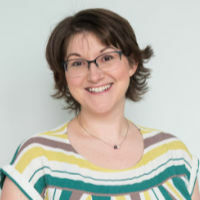 You’ll hear project managers talking about their RAID logs as part of how to manage a project, or updating the RAID, but what does it all mean? In this article, we look at everything RAID. There’s also a video interview with risk expert Keith Rickman – scroll down for that. What Does RAID Stand For in Project Management? The D in RAID: Dependencies or Decisions? The A in RAID: Actions or Assumptions? These are key things to track as a project manager. They give you a broad understanding of the context of the project and the environment in which you are operating. Here is a bit more detail on each of these elements. Risks: These are things that might affect your project if they happen. We generally think of risks as things that could cause the project to go wrong, but risk could also be something positive. Anything that might have an impact on the project (but hasn’t happened yet) is a risk. Issues: These are things that have happened and are causing a problem on your project. Some people also manage changes to the project as issues, but personally I don’t. I add an extra tab to my RAID spreadsheet to track and manage changes. Dependencies: These are things that your project needs in order to be able to complete according to the plan. That could be a deliverable from another project that forms the basis of your project, input from an expert or something else. In my experience, the biggest dependency on projects in management decision making. They need to make decisions so you can get on with your work! Read more about dependencies here. Formally the ‘D’ in RAID stands for Dependencies, but I get a lot more use out of recording Decisions. Ultimately, it’s up to you what you think is worth documenting on your project. Whether you document decisions in a RAID log or not, it is important to document them somewhere. Formally, the ‘A’ in RAID stands for Assumptions. But again, I get more mileage out of recording Actions. I need to use and update the list of actions daily. The assumptions don’t change that often. You can choose to use both, or one or the other, as long as you are recording, tracking and managing what you need to adequately manage the project. You record the items in a RAID log. The picture shows the RAID log template I use – the worksheet shown is the risk tab. A RAID log is a list where you record the risks, assumptions, issues and dependencies on a project. 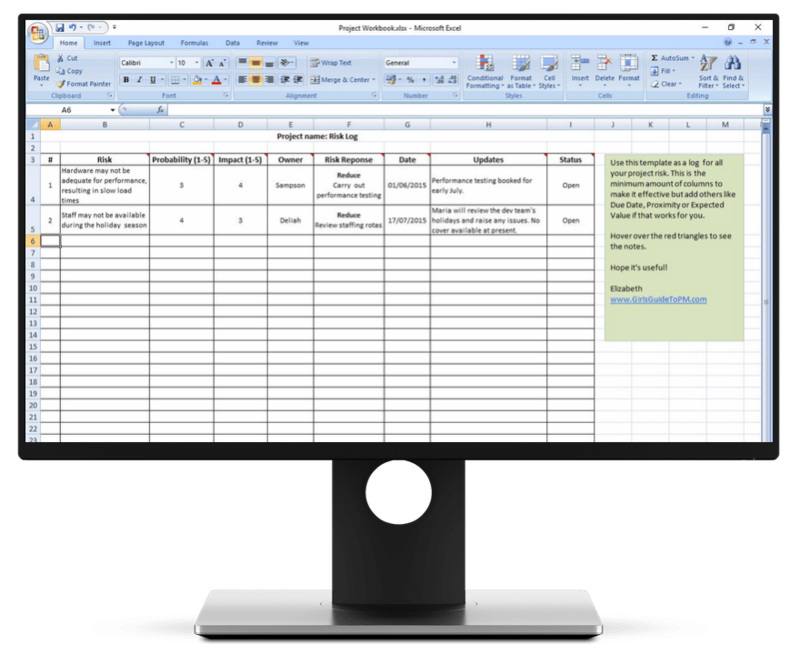 It could be a spreadsheet (like this one) or built into your project management software tool in the form of a database or table. A RAID log is a way of tracking the things that affect and influence your project. It is part of the governance and control mechanisms around your project. But that doesn’t make a neat acronym! When you use a RAID template in a spreadsheet, you can add as many tabs/worksheets as you like so that you can track everything in one place. This makes it easier to work with: you don’t want to be looking in multiple places for information about the key data elements of your project. For me, my RAID log is the key project document I use daily. That’s mainly because I keep my action log in there too, and that’s what I use every day to manage the work that falls outside of the project schedule. The different elements of your RAID log will be updated at different times. For example, you won’t need to update project constraints every day. They just won’t change that often. Actions – if you are tracking actions – will generally change the most frequently. I update something in my action log at least once a day. Risks should be updated at least monthly. Preferably more often, based on your management plan and how you are choosing to manage them. Issues may need to be updated daily depending on what is going on. If you have hit a major problem and things are moving fast, you’ll want to record the actions taken and what you are doing to stay on top of the issue. It’s a good idea to review everything on the log at least once a month to make sure that you haven’t forgotten to take any critical action, and that you know what your priorities are for next month. The project manager should update the RAID log. If you have project management software that incorporates a database for risks, issues and changes, then you can delegate updating these items to the risk, issue or change owner. There’s no need for a workstream lead who is managing an issue to update you just so that you can update the software. They can just as easily do it themselves. I prefer to keep ownership of the spreadsheet I use, because I don’t want other people changing it. With software tools, you have an audit trail of what was changed and who changed it. Generally they can only change what they are tasked with, so they can’t accidentally delete a whole worksheet or update lines that relate to other people’s work. Plus, I am a bit of a control freak and I like to know what is going on! 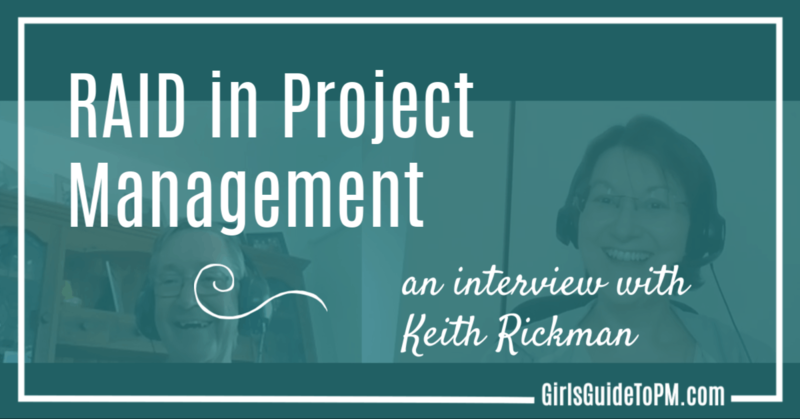 Recently I spoke to Keith Rickman about RAID and project constraints. If you want to go further into RAID, or just hear it from another viewpoint, Keith breaks it all down for you! Sometimes he sounds a bit like he’s in a fishbowl – sorry about that – we had some internet problems. Bear with us, he has some interesting points that will really help new project managers understand their project and the context they are working in. And when you understand that, you have more chance of being able to complete your work successfully! Underneath the video you can grab my project workbook which includes a RAID template (and more). My RAID project management template is an Excel spreadsheet. You can use it in Google Sheets or in Excel, or import it into whatever other spreadsheet package you use.